"My Encounters With Madoff’s Scheme and Other Swindles..."
On the afternoon of Thursday, December 11, 2008, I got the news I had been expecting for more than seventeen years. Calling from New York, my son Jeff said Bernie Madoff has confessed to defrauding investors of $50 billion in the greatest Ponzi scheme in history. “It’s what you predicted in … 1991!” he said. It began on a balmy Monday morning in New York in the spring of 1991, when I arrived at the office of a well-known international company. The investment committee, reviewing their hedge fund investments, decided at this time to add due diligence by hiring me as a consultant. I spent a few days listening to summaries of track records, analyses of the business structures of the hedge funds, the backgrounds of their managers, and making on-site visits. One of the fund managers was so paranoid when I interviewed him at his office that he wouldn’t tell me what kind of personal computers they used. When I went to the restroom he escorted me for fear that I might acquire some valuable crumb of information. With one exception, I approved the investments. The story from Bernard Madoff Investments didn’t add up. My client had been getting steady monthly profits ranging from 1% to more than 2% for more than two years. Moreover, they knew other Madoff investors who had been winning every month for more than ten years. Suspecting fraud, I asked my client to arrange for me to visit the Madoff “investing” operation on the seventeenth floor of the famous Lipstick Building on Third Avenue. Bernie was in Europe that week, and as we now know, likely raising more money. His brother Peter Madoff, head of compliance and of computer operations, said that I would not be allowed through the front door. I asked my client who it was that did the accounting and annual audits for the Madoff fund. I was told it was handled by a one man shop run by a man who had been a friend and neighbor of Bernie’s since the 1960s. Not reassured, I asked when the client received confirmations of trades. The answer was that they came by mail in batches every week or two, well after the dates of the alleged trades. At my suggestion, the client then hired my firm to conduct a detailed analysis of their individual transactions to prove or disprove my suspicion that they were fake. After analyzing about 160 individual options trades, we found that for half of them no trades occurred on the exchange where Madoff said that they supposedly took place. For many of the remaining options transactions, we found that the volume of trades reported for the client’s two accounts alone exceeded the total volume reported by the exchange. To check some of the remaining trades, those which did not contradict the prices and volumes reported by the exchanges, I asked an institutional broker friend at Bear Stearns to find out in confidence for me who all the buyers and sellers were. We could not connect any of them to Madoff’s firm. My client had a dilemma. If they closed their accounts with Madoff, and I were right, they would save their principal, their reputation, and avoid a possible legal mess.1 If I were wrong, they would needlessly sacrifice their best investment.2 On the other hand, if they stayed with Madoff and I were wrong, they expected to prosper. If I were right, their jobs could be at risk. They withdrew. In my attempt, via “networking,” to find out how much other money was invested with Madoff I repeatedly heard that all his investors were told not to disclose their relationship, even to each other, on threat of being dropped. I was able to “locate” about half a billion and inferred that the scheme had to be much larger. I was given one investor’s track record, showing steady monthly gains in the 20% annualized range back to 1979, and was told the record was similar back into the late 1960s. It appeared as though the scheme had already been operating for more than twenty years! Having shown that Madoff was posting fake trades to my client’s accounts, and that he was apparently doing so to several other investors with whom I spoke, I had the “smoking gun” that proved fraud. I warned people in my “network,” forecasting an ever-expanding Ponzi scheme that would one day end disastrously. The longer it went undetected the worse it would be when it ended. At this time Madoff was a major figure in the securities industry, serving as chairman of NASDAQ, running one of the largest “third market” (off the exchanges) stock trading firms in the country, consulted by government, and routinely checked out by the S.E.C. Would the establishment have believed charges of wrongdoing? The story of Harry Markopoulos gives the answer. Challenged by his boss in 1999 to explain why Madoff, with a supposedly similar strategy, could produce much better and steadier returns, Markopoulos concluded on the basis of quantitative financial reasoning, as I had done, that it was impossible and must be a fraud. Though he didn’t establish that the individual trades were faked, even without that “smoking gun” his arguments were overwhelmingly persuasive. For the ten next years Markopoulos attempted to get the S.E.C. to investigate. The S.E.C. repeatedly brushed him aside, cleared Madoff after superficial investigations, and in one instance quashed a request from the Boston office, prompted by the Markopoulos information, to investigate Madoff Investments as a possible Ponzi scheme. In a remarkable 477 page document, “Investigation of Failure of the SEC to Uncover Barnard Madoff’s Ponzi Scheme – Public Version,” August 31, 2009, Report No. OIG-509, the SEC investigates and documents its own repeated failures, beginning in 1992 and continuing until Madoff confessed in 2008, to follow up on obvious clues, pointed complaints, and clear violations of securities laws. In 2001, at a hedge fund investing conference sponsored by Barron’s, the headline story3 was about the investment manager who wasn’t there, the manager with the best record of all, Bernie Madoff. Better yet, he didn’t charge the typical hedge fund fees of 1% of assets per year plus 20% of any new net gains. How could this be? Supposedly he made his money from small fees on the huge trading volume that was flowing through his brokerage firm from the orders he placed on behalf of his investment clients. Even with the well publicized doubts expressed in the Barrons story, and the suspicions of fraud now voiced by many, the regulators slept on. So did Madoff’s thousands of investors and the many fiduciaries they were paying to protect them. How did the fraud end? Bernie Madoff (pronounced “made off,” as in “with your money”) turned himself in on December 11, 2008, with the improbable story that he was the sole conspirator in the scheme. This man who was virtually ignorant about computer systems claimed to have single-handedly directed the whole secure 17th floor computerized operation, along with some twenty or so employees generating – supposedly unknowingly – a daily torrent of billions of dollars of fake trades for thousands of accounts. On August 11, 2009, exactly nine months after Madoff turned himself in, Frank DiPascali, Jr., the man who supervised his operations from day-to-day, was charged by the SEC in the U.S. District Court, Southern District of New York. At this point the SEC knew that Bernard Madoff Investment Securities “(BMIS) managed investor accounts as far back as the 1960s…”. However, the SEC complaint says the split strike price strategy dated from 1992, whereas it was in place years earlier. Madoff claimed his family, brother Peter, sons Mark and Andrew, all principals in the firm, and the detail oriented hands-on wife Ruth, were totally innocent and unaware of any complicity in the ongoing massive forty-year fraud. In addition to single-handedly running his swindle, Super Bernie was vacationing at his various residences, travelling abroad to raise ever more money, shuffling massive funds internationally among banks, paying large fees to “fiduciaries” who brought him investments, while the complex scheme somehow ran like clockwork in his absence. When pleading guilty, he told the judge that he began stealing money in the early 1990s.4 As we’ve seen, it was already big then and had started at least twenty years earlier. Madoff gave the size of the scam at $50 billion, with later estimates of sixty-five billion,5 for the amount of fake equity investors believed they had in their accounts at the end. More meaningful is how much money was put in, how much paid out, and to whom. 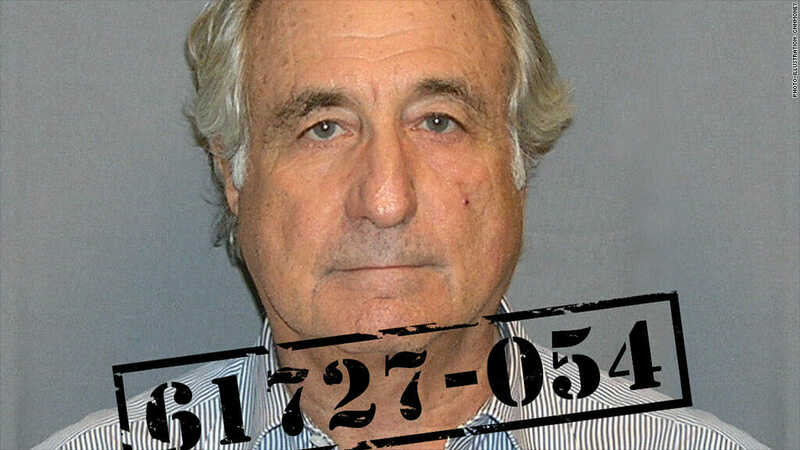 Several “handlers,” who each collected hundreds of millions or billions from investors, claimed to have thoroughly verified the legitimacy of Madoff’s strategy, skimmed off hundreds of millions in fees, and moved up the ranks of the politically and socially connected super rich. One individual reportedly6 withdrew over five billion dollars more than he put in! The fact that Madoff was letting others collect the hundreds of millions, and eventually billions, in management fees, all the while settling for much less in trading commissions, should have been enough to alert investors, advisors, and regulators. The government released a searchable list of more than 13,000 past and present Madoff account holders, ranging from hundreds of not very rich Florida retirees, to celebrities, billionaires, and non-profits like charities and universities. If these legions of investors were easily gulled, often for decades, what does this and other swindles tell you about the efficient market hypothesis? By the time you read this, several books detailing the fraud will have been published, most likely with far more detail than I can give here. But even from my synopsis, you can see that Madoff’s investors generally failed to do their own independent thinking and analysis, trusting that others had verified the legitimacy of his strategy and his operation. If you are going to seek superior investments you had better do the work. After writing this and discussing the Madoff Scheme with my wife, I mentioned two items that didn’t make sense. Bernie Madoff, in his elocution to the judge, said, contrary to fact, that he thought his scheme began about 1991. The SEC’s complaint against Frank DiPascali said, presumably using information from Mr. DiPascali, that the fraud was computerized and the split strike strategy had begun in 1992, also contrary to client reports I had reviewed earlier. Then my wife asked a key question, “What would they have to gain” from such claims? An answer occurred to me that not only neatly answered her question, with a unified explanation of both puzzle pieces, but gave me an insight into what may yet be revealed. Visit these pages to learn about Efficient Market Theory, Trading Mechanics, the Fed, and for my Podcast Interviews Feedback with Salam Abraham, Chris Clarke, and Harry Markowitz.